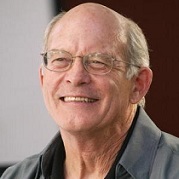 Claim To Fame: Max Gail is an American actor who has appeared on stage, television, and in film, but he's best known for his role as Detective Stan "Wojo" Wojciehowicz on the sitcom Barney Miller. Family Life: Gail married Willie Bier in February of 1983. They were married until her death in 1986. They have a daughter, India. Gail then married Nan Harris in 1989. They have two children together, Maxwell and Grace. Info: Attended Williams College, and was later an instructor for the University Liggett School before becoming an actor. as a B.A. in Economics and a Masters in International Finance. Max runs his own production company, Full Circle, which has done documentaries on such things as Agent Orange, Native Americans, and nuclear issues. Has a twin sister named Mary. Trivia: Before becoming an established actor, he taught school, played piano in bars, and was construction worker and a waiter. 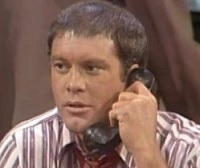 His role as Detective Stan "Wojo" Wojciehowicz on the sitcom Barney Miller (1975-1982) earned him two consecutive Primetime Emmy Award for Outstanding Supporting Actor in a Comedy Series nominations. Where Are They Now: Max Gail currently has two projects in post-production, Jumping the Gun and The Last Full Measure.